Fehlfarben is a German post-punk band from Düsseldorf, Germany. The band name is from a German printing term referring to erroneous colors in prints: singer Peter Hein was in this line of work at Xerox while in the band. Its founding members were Peter Hein (vocals), Thomas Schwebel (guitar), Michael Kemner (bass), Frank Fenstermacher (saxophone), Markus Oehlen and Uwe Bauer (drums). 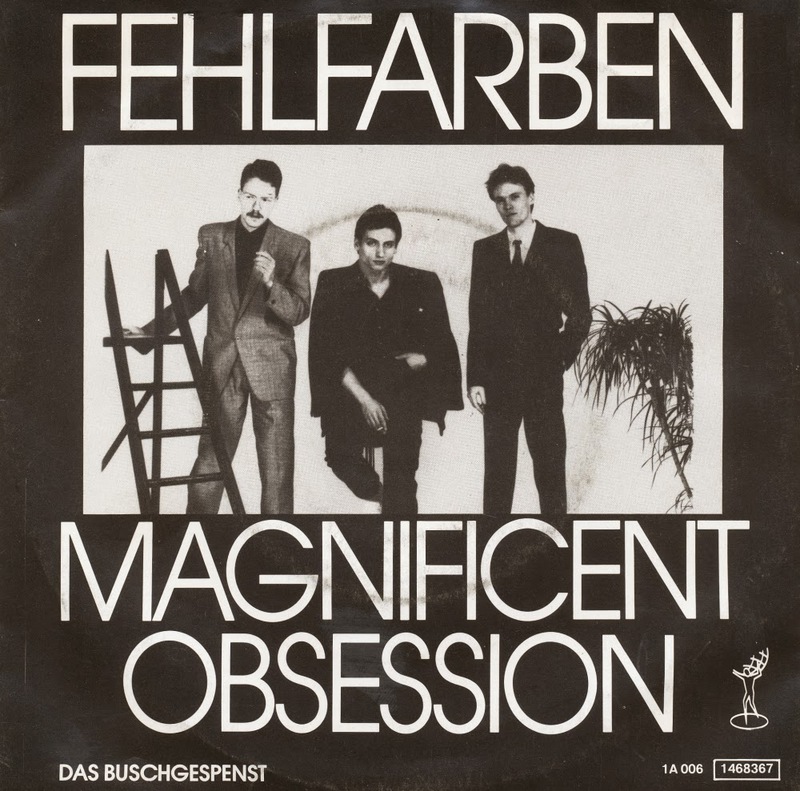 'Magnificent obsession' was released as a single in 1983, but didn't register in any charts I know. Still, the single was picked up by radio stations, which is how I found out about it at the time. I also forgot about the song for a long time, until I finally got this single a few years ago.